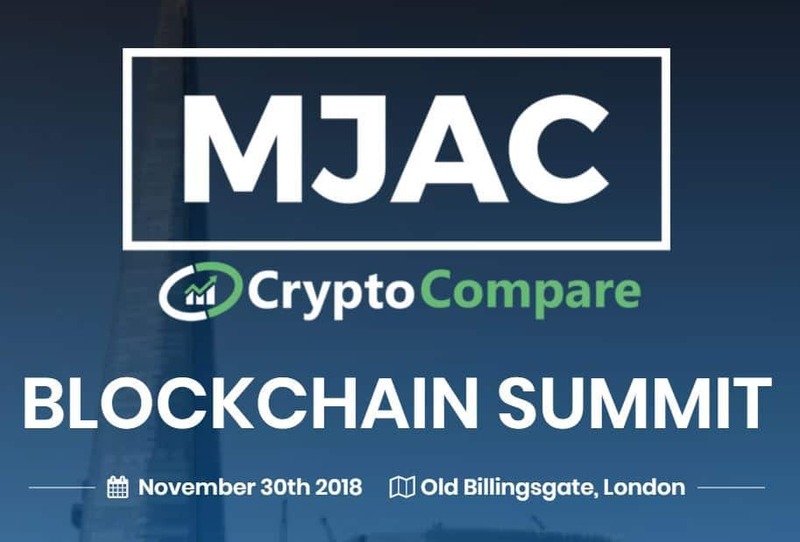 MJAC announces initial details for the MJAC & CryptoCompare London Blockchain Summit on November 30th. The one-day conference will appeal to both an institutional and retail audience. It will include discussion panels on how crypto has evolved as an asset class over 2018, institutional trading in the crypto market, and regulation as well as talks and debates on topics such as: blockchain governance, how securities lending will lead to institutional adoption of cryptocurrencies, the state of crypto funds, opportunities and threats for the tokenisation of everything and the prospect of STOs replacing IPOs. PowerSnookerCoin – the cryptocurrency created by Power Snooker Group (owner of the Power Snooker sport) – will be featuring at the event with a full-size snooker table; alongside boxing legend and brand spokesperson Johnny Nelson. Former Head of Corporate Governance at Prudential and Power Snooker Group spokesperson Dean Christy will be delivering the ICO presentation for PowerSnookerCoin. MJAC will host a global selection of eminent and emerging companies as exhibitors. The conference agenda will also feature top rated ICOs; giving these entrepreneurs a truly remarkable opportunity to pitch to global investors and Fund Managers. Stephan Tual, founder of Atlas Neue and former COO of Ethereum, is compering the MJAC & CryptoCompare London Blockchain Summit.